This is the first Top 5 Tuesday that I am taking part in – but I just couldn’t pass up this opportunity to fangirl. To be honest, I had a lot of trouble coming up with my list. As much as I love the Harry Potter series, I think having grown up with the books I never really fell in love with a character in a book boyfriend way. I tried to think of one that would work, alas, I could not. Top 5 Tuesday is a weekly meme that the lovely Bionic Bookworm does. If you are interested in doing any of her topics on your blog she welcomes it! Here is a list of her upcoming topics if you’re interested in participating in future Top 5’s! Be sure to check out her Book Boyfriend post here! 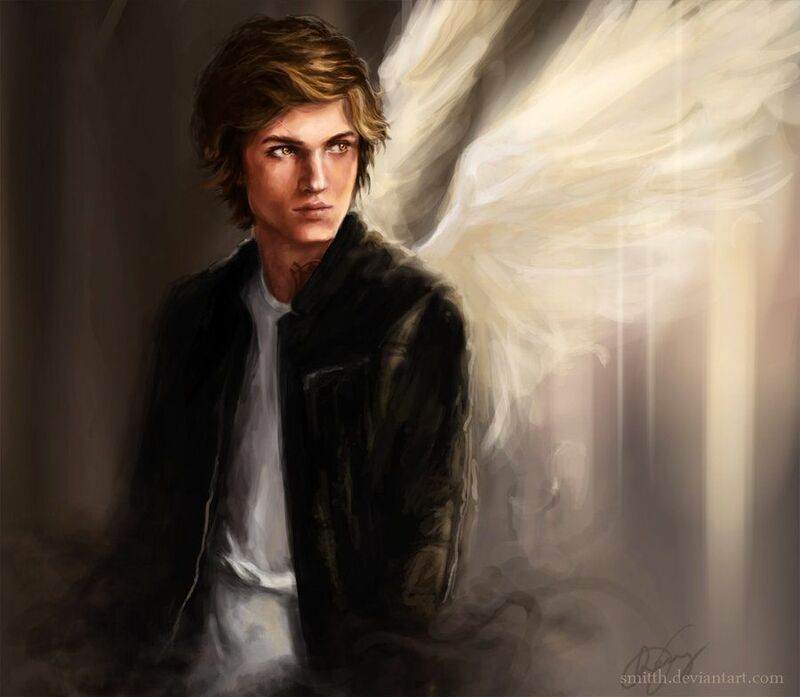 Jace was probably the first book character that I fell in love with. He is sassy, fiercely loyal, cocky and so utterly hilarious. He legitimately has all of the best lines in the books and has made me laugh out loud on numerous occasions. He holds the weight of the world on his shoulders and will do whatever it takes to protect the ones he loves. Jace always has and forever will be my ultimate book boyfriend. Can he be real already? Rhysand, oh Rhysand. You are my most recent favourite book boyfriend. Although I have only known you for a year, you are almost as beloved as Jace. But I’m sorry, no one can beat Jace. Rhysand is amazing and so willing to sacrifice everything for those he loves. Do I sense a theme here? Also, those wings. I can’t imagine how incredible it would be to fly with him. Let’s just say I love a good Herondale. Will goes through so much and yet at the end of it all, his heart is not changed. He is caring, well-read (who doesn’t love a fellow bookworm) and witty. As much as he had to sacrifice growing up, he managed to stay a good person and in the end had a wonderful life. What did you guys think of my list? Who would be on your book boyfriend list? Let me know in the comments below! There are a few on this list that I totally forgot about!! Will Herondale is one of them! Thanks so much for participating! Of course, it was super fun! I almost forgot Percy and I couldn’t believe it. I still haven’t read that series 😳 I know! I own it but haven’t gotten to it! I’ve read the chapter headings though and they’re probably the funniest and best chapter headings ever!! Yeah, Rick Riordan is really funny. I feel like you’d enjoy Percy Jackson, I just think it’s tough to read it when you’re an adult rather than a kid. I recommended it to my friend. She really enjoyed the first series, but it’s hard to relate to a 12 year old. At least with the second series he’s 16 and in Trials of Apollo he’s worried about college. But I hope you get to it sometime soon! I’d love to know what you think! It would be interesting. If he’s 12 then he’s the same age as my daughter! That’s an interesting perspective for sure! Oh that’s probably perfect then, to get that perspective! You guys could always read it together! Rhyssssssssssssssssssssssss. But also Willllllllllllllllllllllllllllllllllll. Both so much love. ❤ Wonderful post, Kyera!! Me too! I just checked out your review and I definitely agree that you sometimes have to get through the first book for the second one. It’s so worth it. I know, the second one was amazing!